Solitary Canada Goose on the banks of Opimihaw Creek. 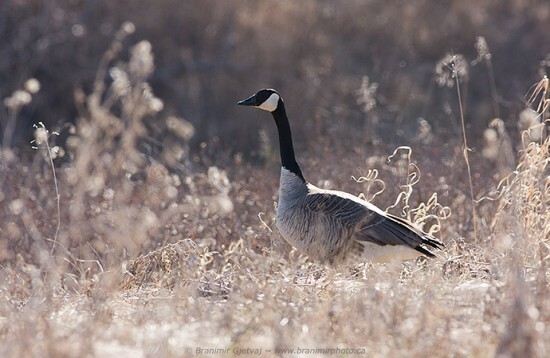 Canada Geese nest in the vicinity of Wanuskewin and can be seen almost all year round (except in the middle of winter when any open water and South Saskatchewan River are frozen solid) . I photographed this goose in early May along the Opimihaw creek running through the park. Vegetation was still brown and I like how brown shoots of grass frame the bird.